I’m a bit of a creature of habit when it comes to buying clothes for the kids. I usually end up in Sainsbury’s when they have their 25% sale on TU clothing and I stock up. Don’t get me wrong, their clothes are brilliant and I have had no issues with the quality, but I have noticed that the children end up wearing the same as lots of other children. 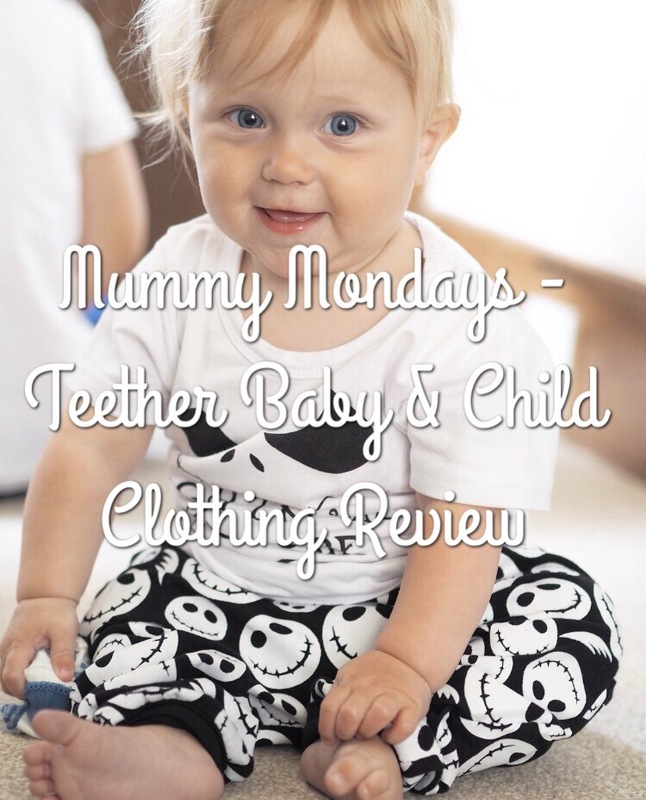 Sometimes it’s nice to find something a little more unique, so when I was contacted by Teether, a clothing website offering quirky and original clothes for babies and young children, I jumped at the chance to work with them on a review. The site is a treasure trove of beautiful outfits and cool slogan prints, it was difficult to decide on what to order for Benjamin. In the end I went for this absolutely adorable and totally relevant nightmare before Christmas slogan pj set. Priced at £14.99, I was so impressed when we received the item as the quality is amazing. Benjamin wore the pjs three nights in a row and they still felt brand new when I put them in the wash. The material feels so durable and I’m confident they’ll stand the test of time. As well as day to day clothing, Teether also have a brilliant range of special occasion outfits including their absolutely adorable range of christening dresses. As my little niece Isla is getting christened this year, I picked out this gorgeous traditional style dress which even comes complete with a matching bonnet. She is going to look so sweet on her big day wearing this outfit! I think for the quality of the outfit, it is worth the £49.99 price tag. Make sure you check out the Teether website to see more of their huge range of items, all with free UK delivery!